Done right, all dentistry is cosmetic. Your smile will be improved, your bite will function properly, and your overall appearance is enhanced by proper dental restorations – whether crowns, bridges, fillings, implants or complete dentures. 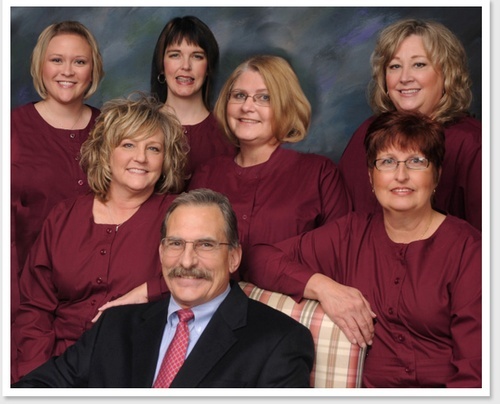 For over 30 years, Dr. John Mitakides and his team have been providing comfortable, comprehensive restorative dental care in a warm and welcoming atmosphere. We offer complete care for your family and we’ll always take time to discuss treatment plans, explore options, and learn about the latest techniques available. We believe in common sense dentistry – what will work for in your unique needs, as well as your budget. If you’re concerned about your comfort during the procedures, Dr. Mitakides can discuss options for local anesthesia and oral sedation to make sure you are relaxed and comfortable during your procedures. Among the most versatile of dental treatments, dental crowns restore both the aesthetics and the functionality of teeth that have been weakened, cracked, or otherwise damaged. Dental crowns, sometimes called “caps,” are used to fully restore a damaged tooth, or to improve appearance. Each situation is different, and Dr. Mitakides and his team will work with you to determine if crowns are your best option, and which material would be best for your restoration. Crowns are an excellent, natural-looking restoration, and can last a decade or more with care.